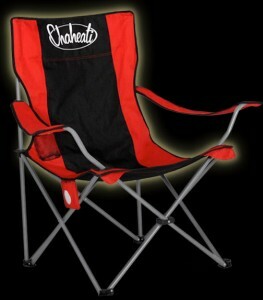 Whether you’re watching your kid make that winning goal or telling ghost stories while camping, keep your bum warm and enjoy the outdoors with the Chaheati All-Season Heated Chair. This chair has four temperature settings ranging from 98° up to 145°F and rapidly heats up in less than 20 seconds. Its lithium-ion rechargeable battery provides up to six hours of heat per charge and lasts for over 500 uses, and the chair can even help relieve tight and aching muscles and joints. The heat is evenly distributed across the entire chair so it keeps your back, buttocks and the back of the thighs warm, and the seat is oversized to accommodate any body type up to 280 lbs. Available at Chaheati.com for $89.99.